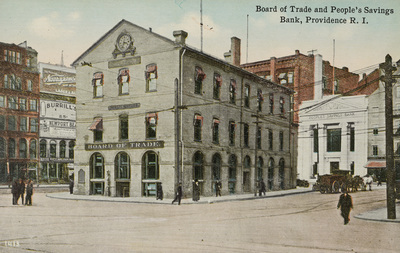 "Board of Trade and People's Savings Bank, Providence, R. I." by Chas. H. Seddon, Providence, R.I.
Board of Trade and People's Savings Bank, Providence, R. I.
Chas. H. Seddon, Providence, R.I., "Board of Trade and People's Savings Bank, Providence, R. I." (1915). Rhode Island Postcards. 212.